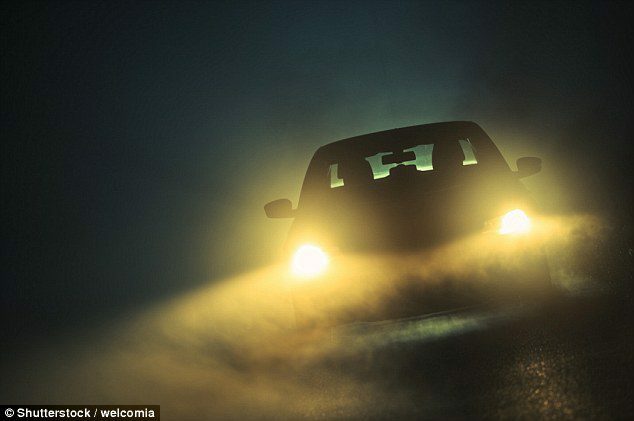 The brightness of modern car headlights has created a new danger on the roads as they causing other motorists to be temporarily dazzled, according to new research. Two-thirds of drivers say they are regularly affected by oncoming headlights even though they are dipped, a RAC survey found. A vehicle traveling at 60 mph would cover 150 yards in that time. Some 15 percent of the 2,061 motorists polled have nearly suffered a collision as a result of being dazzled by modern headlights they believe are too bright. RAC road safety spokesman Pete Williams said: ‘The intensity and brightness of some new car headlights are clearly causing difficulty for other road users.